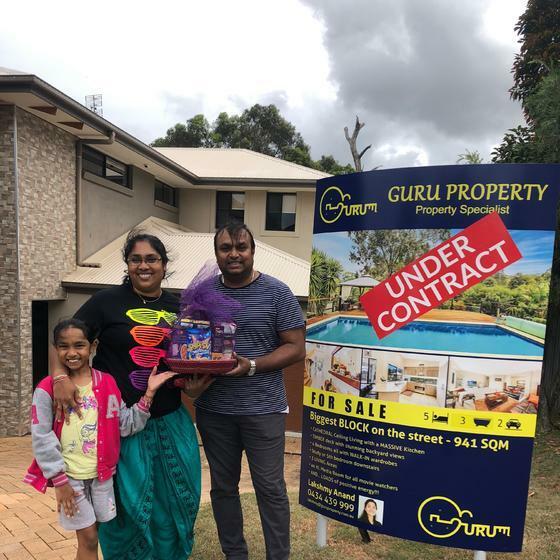 Guru Property was our agent and we are both so impressed with the service that we received! Right from the very start Lakshmy Anand could not have done any more to help us have a smooth ride whilst selling our property! We would 100% recommend Lakshmy and the service that she provides and now we've had such an easy ride of selling we will certainly be back to use her services again some day. She made us feel totally at ease and gave us regular updates throughout the whole process which really took the pressure off of such a stressful process. She was absolutely brilliant, more than we ever expected in fact.Great knowledge of market, excellent service and assist through the selling process.So a big thank you to you Lakshmy from the bottom of our hearts- we are so very greatful!! !